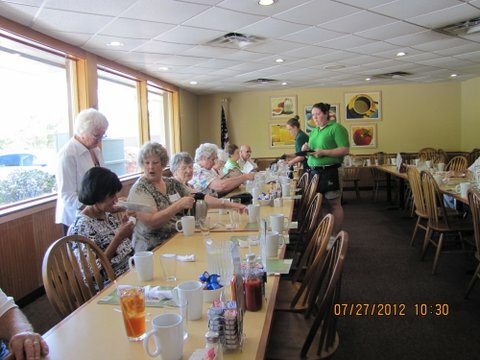 We have ten monthly General Meetings, with none in July or August. They are usually held at the Johnson County Central Resource Library in the Carmack Room, except for the May meeting which is our members only Annual Meeting & Lunch which is currently held at Lakeview Village in the Southridge Building. 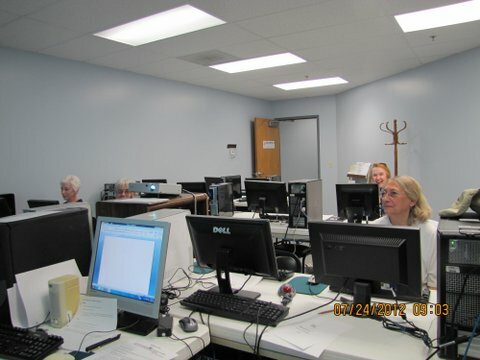 SenCom is an organization of seniors (50 plus) who choose to develop skills that allow them to use E-mail, surf the Internet safely, Google, Facebook, use word processing, and do many other computer tasks. Our experienced teachers bring their own expertise on subjects taught in the Computer Lab. We have an up-to-date Computer Lab with Windows 10 machines for hands-on use. 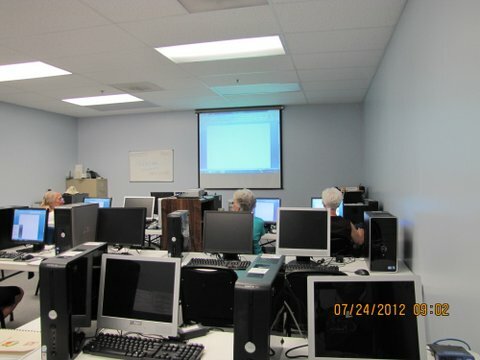 The instructor also has each of his machines connected to a projector so that students can follow along on the screen. We gather socially once every month, on the fourth Friday, for a luncheon; and answer computer related questions. We call it SenCom Lunch & Learn. We meet at Pegah’s Family Restaurant at 11:30 am to about 2:00 pm where we share ideas, jokes, news, and resolve members computer problems in a very informal setting. (Check out this and other Groups & Meetings under the Groups Meetings menu. Our workshop sizes are small with helpers to make the learning experience a positive one, with lesson plans properly paced for seniors. Our Computer Lab is in partnership with The City of Shawnee Parks & Recreation Department. The moneys from our workshop fees and membership dues provide up-to-date computers and software for our Lab. (Check out our class listings in the Classes page.